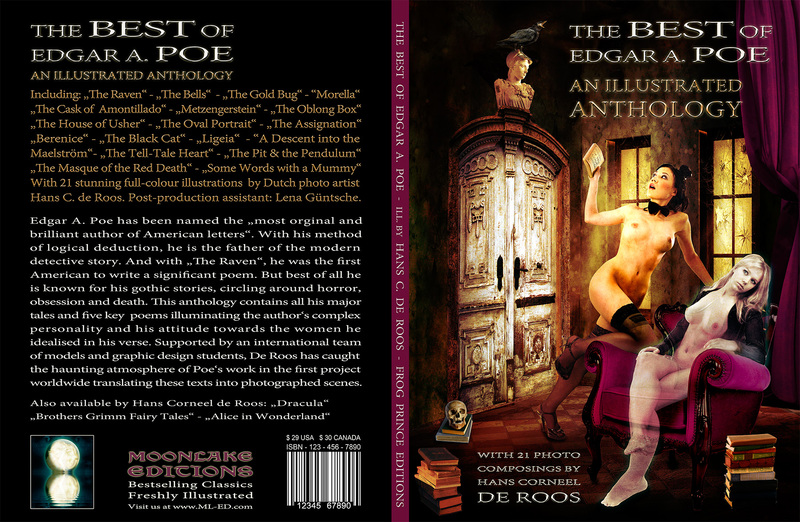 Here are the book covers of The Ultimate Dracula and the planned Edgar A. Poe book. THE ULTIMATE DRACULA is available through bookshops and Amazon. USA -- Canada -- United Kingdom -- Germany. Contents: The complete text of Bram Stokers Dracula novel (1897 edition), glossary, three essays, 17 full-page and double-page maps, ca. 40 large photo illustrations, additional source texts, bibliography, movie overview, etc. Book size: 24 x 34 cm, 240 pages, 173 illustrations, section sewn with soft cover. 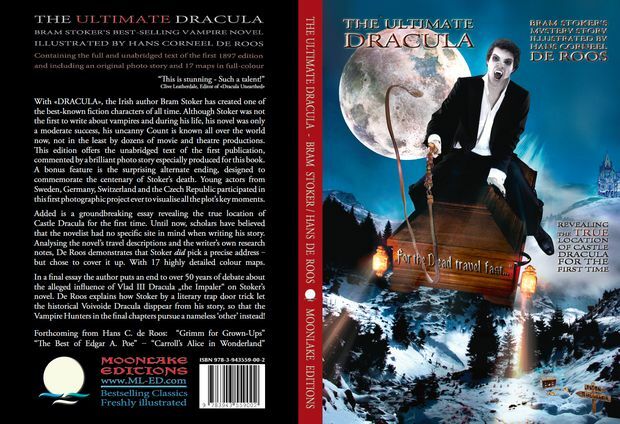 With «DRACULA», the Irish author Bram Stoker has created one of the best-known fiction characters of all time. Although Stoker was not the first to write about vampires and during his life, his novel was only a moderate success, his uncanny Count is known all over the world now, not in the least by dozens of movie and theatre productions. This edition offers the unabridged text of the first publication, commented by a brilliant photo story especially produced for this book. A bonus feature is the surprising alternate ending, designed to commemorate the centenary of Stoker’s death. Young actors from Sweden, Germany, Switzerland and the Czech Republic participated in this first photographic project ever to visualise all the plot’s key moments. Added is a groundbreaking essay revealing the true location of Castle Dracula for the first time. Until now, scholars have believed that the novelist had no specific site in mind when writing his story. Analysing the novel’s travel descriptions and the writer’s own research notes, De Roos demonstrates that Stoker did pick a precise address – but chose to cover it up. With 17 highly detailed colour maps. In a final essay the author puts an end to over 50 years of debate about the alleged influence of Vlad III Dracula „the Impaler“ on Stoker’s novel. De Roos explains how Stoker by a literary trap door trick let the historical Voivoide Dracula disppear from his story, so that the Vampire Hunters in the final chapters pursue a nameless ‘other instead!